Depending on your needs, options, and severity of drug and alcohol use, you can stay short-term or long-term in a residential treatment facility. Every treatment is unique to each person’s situation. Addiction is a family disease and affects all areas of a person’s life. Treatment is part of the recovery process that rehabilitates and prepares the individual for the transition to sober living. A person can become physically and psychologically addicted to drugs and alcohol. Taking the steps toward sobriety is hard work and takes a lot of determination and support from family and friends. A longer stay in residential treatment may be more helpful. Every treatment varies and depends on the type of drug, duration of use, and psychological and physical effects of a person’s addiction. These factors determine the length of stay in residential treatment. Some people stay in a residential treatment for 30 days while others might need an extended stay. Treatment for drug and alcohol addiction includes group therapy sessions and individual counseling. 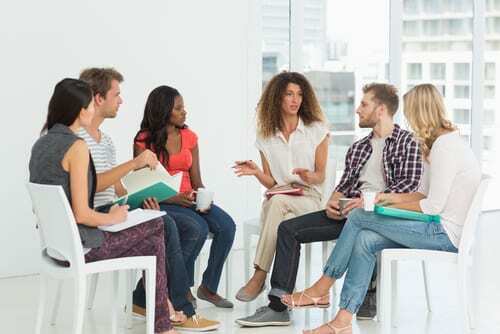 Group therapy allows you to listen to other people in treatment who could give insight into your addiction. Group therapy also helps by giving you the opportunity to listen to others in similar situations. For someone with an addiction to intense drugs, such as heroin or crack, a longer stay in treatment might be more beneficial than a shorter one. Individual counseling gives you one-on-one time with a therapist who guides you through treatment and prepares you for a new sober life. Psychological issues or mental illness might also influence the length of stay at a treatment facility. Depression, anxiety, post-traumatic stress disorder, and attention deficit hyperactivity disorder would also determine how long you stay at the residential treatment. Recovery from addiction is different for every person. Do not base your length of stay on someone else’s length of treatment. When treatment ends, continue self-care and apply the life skills learned in treatment to your new, sober lifestyle. If you or a loved one is battling a substance use disorder or addiction, reach out for help now. Cypress Lakes Lodge specializes in treatment for addiction with a mind, body, and spiritual approach to therapy. Get help today so you can enjoy a fulfilling, sober lifestyle.